I don't recall ever eating at Katz's in New York City. However, there were several post "Last Call" meals that I'm told I attended after a night at Arlene's Grocery back in the 90s. 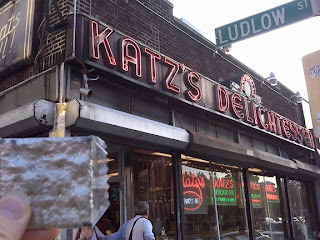 That said, Katz's has been a New York institution for over a hundred years. The sandwiches are as big as footballs. Don't expect to finish everything on your plate.